● You can get unlimited shipping services for an entire year for $49.95. This promo is valid within the 48 contiguous United States only. ● You can save up to 92% on items such as decorations and activity materials when you shop Shindigz Clearance page. ● Shindigz provides exclusive promos for military personal. They can receive special discounts which can be up to 20%. ● You can save up to 95% when you shop Shindigz’s Deal of the Day. This promo lasts for only a day and items offered here are final—returns, exchanges, and order cancellations will not be accepted. ● Join Shindigz’s Rewardz Program and you can earn $5 Rewards Cash on all your orders every time you shop. You can use your Rewards Cash on your next online purchase. You can also get access to secret sales, bonus Rewardz, double Rewardz months, and special gifts when you join ongoing this promo. 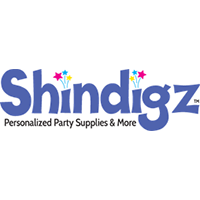 Shindigz is an online retailer that specifically caters to Halloween costumes and other seasonal gift ideas and party supplies. Visitors to this website are going to be able to buy bulk quantities of party supplies to host their next special event, but they'll also be able to take advantage of the “tips and tricks” section of the site that shows exactly how to throw a special theme party. Coordinators work with this company to come up with “party boxes” to offer to customers, giving them absolutely everything they need to throw a big bash without having to do all that much on the air and. They have more than 34,000 different party supplies and personalized decorations available, with more being added to the mix every day. For most up to date offers check out Shindigz on Facebook and Twitter or contact Shindigz Support for any questions.